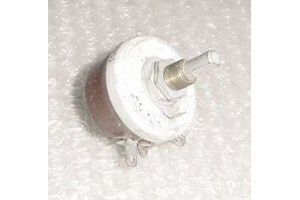 Ohmite Aircraft Rheostat Switch. P/N H-125-F2-351. Ohmite Aircraft Rheostat Switch. P/N H-125-F2-351 or H125-F2-351. It was removed from a salvage aircraft.